One of the best ways to have a stellar experience while traveling is to learn how to interact respectfully with the local culture. Doing so will not only get you friendlier service and local friends, but also helps preserve the local culture. Here are a few tips for interacting with local cultures. Various different cultures have various different “no-no’s.” For example, in many Buddhist cultures, it’s considered rude to touch a child on the head or point your feet at a person. A foreigner who just ruffles a kid’s head in a friendly manner is actually doing something extremely rude in their culture. Learn these taboos before you land in the country. A lot of people come to a foreign country with an expectant attitude towards English. If the locals don’t speak English, they feel almost offended. This attitude will not only alienate the locals, but you’ll miss out on a lot of rich potential interactions. Just because someone doesn’t speak the same language as you doesn’t mean they can’t communicate with you. Even with language barriers, you can have some incredible experiences with the locals. Don’t distance yourself just because you don’t speak the same language. There are really just a few words you need to know in any language to be able to get by. These words include: “Please,” “Thank You,” “Hello,” “Where is X,” “This one” and numbers. With just these few words, you’ll be able to make most basic requests. You can point at objects and say “one of this one please.” You can ask for directions. You can get around the country. You won’t be able to have real conversations with people, but with a basic vocabulary you’ll be able to show that you care enough to actually learn to interact with them. You’ll also have a much easier time navigating the area. When you go to a Hindi area of India, consider learning a thing or two about the religion. What does it actually mean when someone worships Shiva? When you go to Bali, learn a thing or two about shadow puppetry. Why do they love it so much? Try to learn a thing or two that’s unique to the culture before setting foot in the country. It’ll give you some common ground with the locals, as well as give you a few things to explore during your visit. 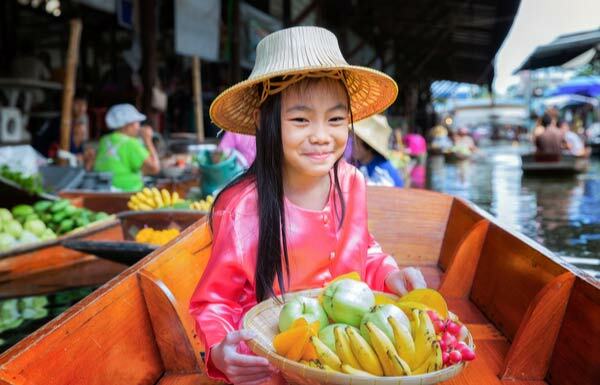 Though you don’t have to learn about the local culture when you travel, most people find that they get a lot more from their experience when they do. You’ll have an easier time making friends, finding interesting experiences and get more of an exotic experience in general.